Together we are a model of excellence and innovation. As an environmental leader, EWA provides reliable and fiscally responsible water resource recovery services to the communities of Northwest San Diego County. 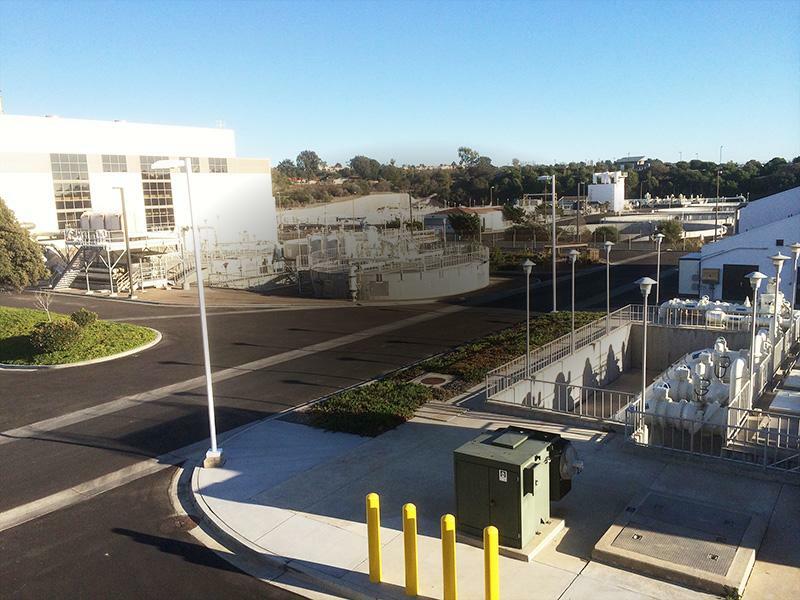 The Encina Wastewater Authority (EWA) is a public agency located in Carlsbad, California. EWA provides wastewater treatment services to more than 400,000 residents in northwestern San Diego County. EWA’s facilities and services are essential for protecting the local ocean environment, preserving public health, and providing valuable water resources for the region. EWA is owned by six public agencies governed by a Joint Powers Agreement. Under this Agreement, owners share in the operational and management costs of EWA, the objective being to cooperatively fund economical and high-tech facilities. 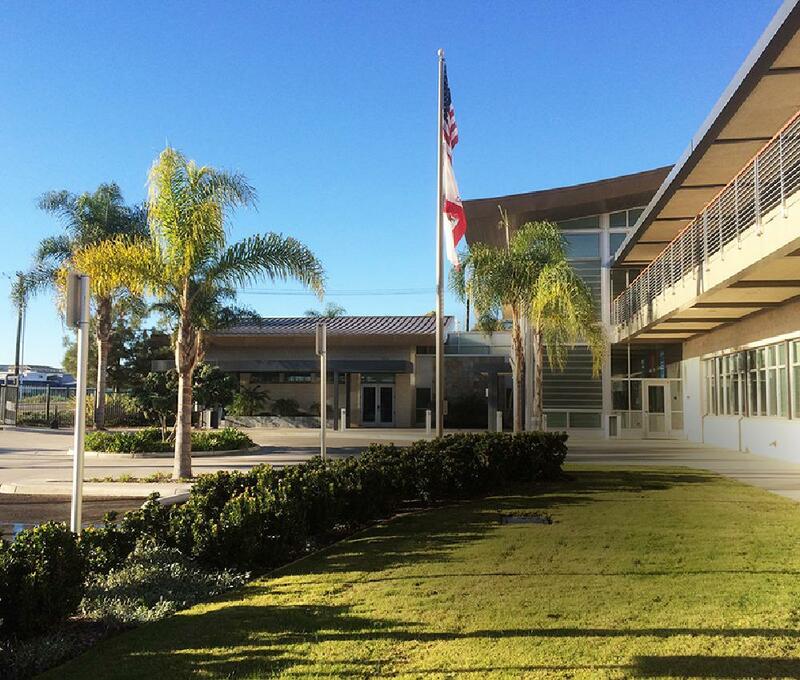 Encina Wastewater Authority is a Public Agency serving 400,000 residents in Northwestern San Diego County. 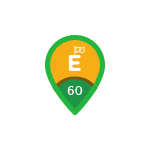 SUPER GREEN E SCORE. Bioenergy to electricity. In 2017 the amount of renewable energy that is produced account for about 65% of the total energy that is used at Encina Wastewater Authority. The green energy is electricity generated from the biogas production including use of heat recovery from the biosolids digestion process. ENERGY INDEPENDENCE. Reduce greenhouse gasses. Encina Wastewater Authority wish to optimize the energy production which will raise the Clean Energy Score. FOG WASTE-TO-BIOGAS. Co-digestion. Encina Wastewater Authority have made use of co-digestion deliveres since 2016 of about 80,000 gallons per week. FOG (fat-oil-grease) co-digestion has resulted in an increase of biogas of around 29%. FOOD AND BEER-TO-ENERGY. New organic waste introduction. In 2018 Encina Wastewater Authority will begin to receive regular deliveries of beer waste and will begin testing of food waste. BIOSOLIDS TO FERTILIZER. Dryer recycling. Encina Wastewater Authority dries the biosolids into pellets. This reduces the amount of trucks needed to haul off the biosolids for secondary drying and fertilizer production. Although the drier is energy intentive the effect on the energy side is positive. EWA wish to expand solids processing capabilities. GARDEN PELLETS. Consumer fertilizer product. Encina Wastewater Authority have been packaging fertilizer pellets for the past 10 years. BIG WATER REUSE. Consumer fertilizer product. Encina Wastewater Authority recycles about 30% of the wastewater that is treated. Since the agency is a water treatment facility only, the recycled water is stored and used by water supply agencies for non-potable water purposes. EWA wish to reduce ocean discharge further and advance EWA's mission of Resource Recovery by recycling more water in the future. POTABLE WATER REUSE PLAN. Potable water reuse study. 7-10 years to implement 2018 recommendation. Encina Wastewater Authority's next steps is to 1. Identify water agencies in exploring feasibility of RWA project. 2. Jointly identify institutional arrangements needed. 3. Pursue grants and contributing funding. 30% of treated water is Recycled. The Goal is to Recycle 80% of the treated water. 60-65% Renewable energy by own production in 2017.